Introducing Daddy’s Berry Chantilly Cake! 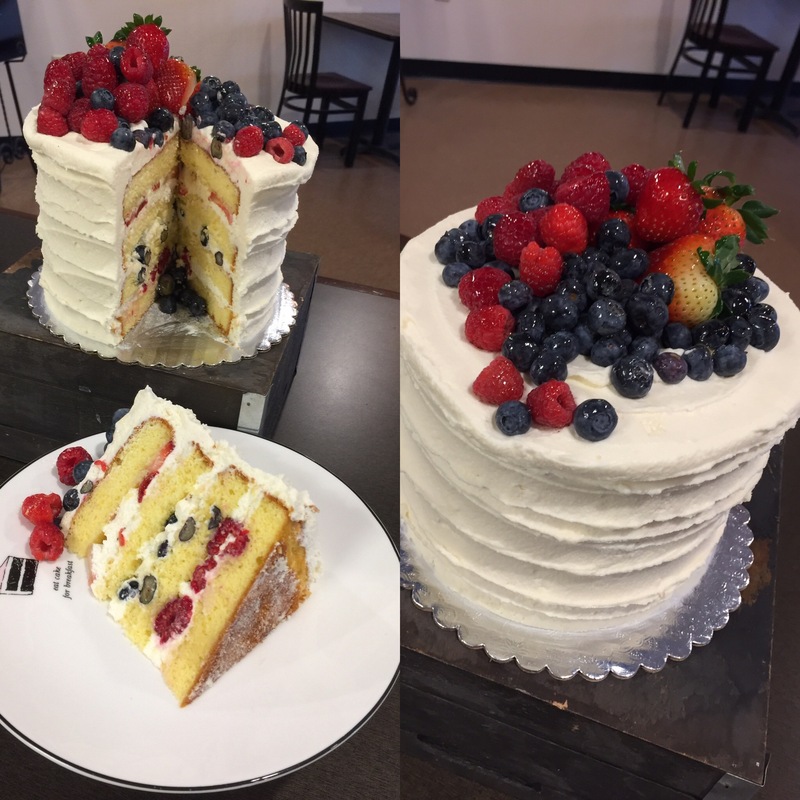 Our light and tasty genoise cake baked fresh in house and filled with fresh berries and marscarpone cream icing. Try a slice or pre-order a whole one. 6 inch round- $40; 8 inch round $70. Made from scratch and in house. You’ll go yum yum yum all the way home! 😊❤️🎂 Call 970-223-0172 or use our contact form to place your order today!